Brain Age Test – Games for Android 2018 – Free download. Brain Age Test – Test your memory in this boring, glitchy game. 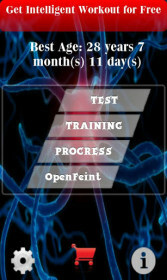 Brain Age Test for Android sounds more interesting than it is. I think the real test here, is how long you’ll play before you get utterly bored. Brain Age Test is as dry as Death Valley. It’s basically just one brain test. And the test, if it can really be called that, is just a game of memory. A series of dots appear on the screen, each with a number inside and you have a few seconds to study the board. The dots soon turn red, and your objective is to touch them in sequence, from lowest to highest. The numbers are all jumbled around the screen, and as you progress, there’s more and more of them. It’s actually interesting for a couple rounds, until your brain actually does kick in and realizes this “game” is just an excuse to place ads in front of you, in the hopes you’ll click on something. 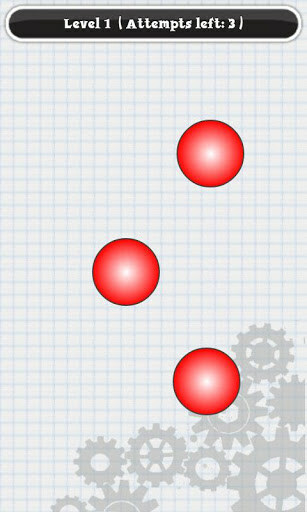 This is yet another game that smacks of being created on AppInventor; very crude and beyond rudimentary. If it was created with a legit SDK, then it was desinged by a complete novice, swept away by the notion that pretty much anyone with a mediocre app can get it posted on G Play and try to siphon pocket change from a global audience via ad clicks. I should know, cuz I tried it myself with my own crappy apps. Frankly, apps like this make me wonder if they’re actually malware in disguise. 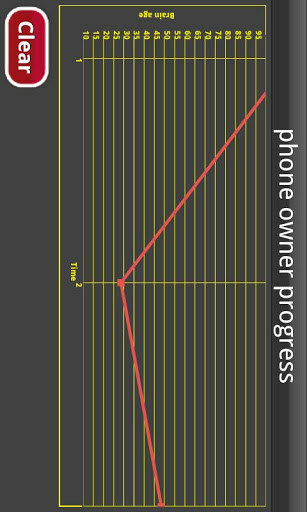 There’s so little actually happening on onscreen, that all the hangs, screen freezes and glitches make me wonder what the app is really doing behind the scenes, because there’s virtually nothing noteworthy happening onscreen to justify the shoddy performance. 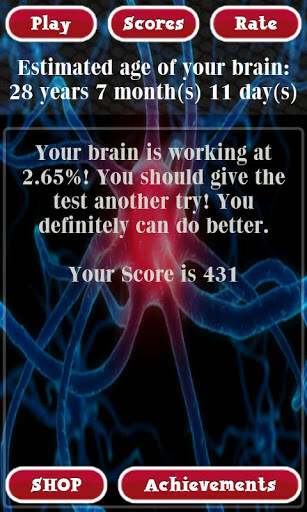 Brain Age Test might be interesting for about 2 minutes, then you’ll be bored to death. Here's an intelligence test for you: how long before you clue in and uninstall this one?